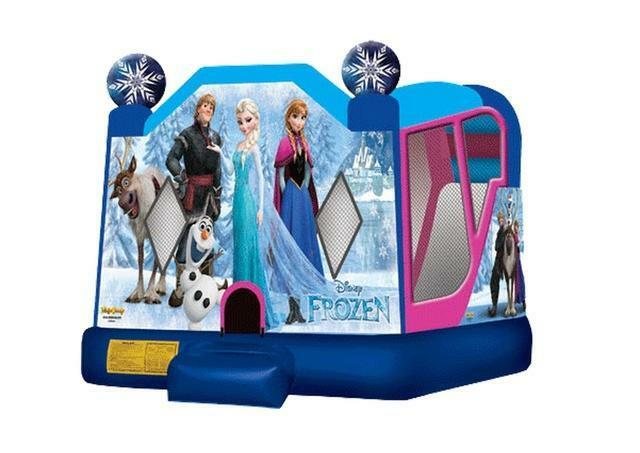 "Let it Go" on our amazing Frozen Bounce House 4-n-1 Combo! This Frozen themed combo features all your favorite characters from the movie including Elsa, Anna, Kristoff, Olaf and Sven! This combo has a full sized 10' x 18' jumping area for bouncing, a basketball hoop, and a really tall climber leading to a surprisingly steep slide all adding up to an amazing party! Perfect for your princess! Add in one of our Princess characters to entertain your guests!